Amazon.com description: Product Description: First published in 1967, this text is now more relevant than ever, as McLuhan's foresights about the impact of new media is actualized at unprecedented speeds via the Internet. It portrays technologies as an extension of man, illustrating how our senses are massaged and our preceptions altered as these devices become integral parts of our lives. 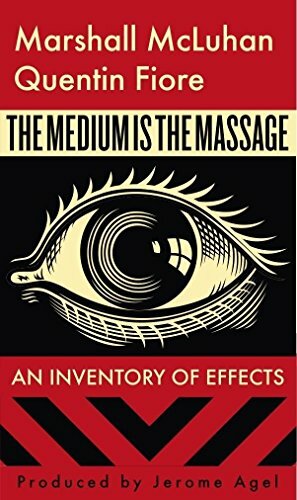 About: More than 40 years after its initial publication in 1967, this piquant classic is being released once again in its original hardcover format in celebration of the McLuhan Centenary. About: First published in 1967, this text is now more relevant than ever, as McLuhan's foresights about the impact of new media is actualized at unprecedented speeds via the Internet.